Throughout this blog I’ve addressed a very large subject: what is involved in understanding society? What sorts of ontological assumptions do we need to make as we attempt to analyze and explain social processes? What is involved in explaining some of the social outcomes we are most interested in? How do we provide empirical confirmation for our hypotheses and theories about the social world? What help or hindrance can be derived from the legacies of positivism and naturalism? Finally, how can philosophy contribute to the creation of a better approach to the social sciences for the twenty-first century? The philosophy of social science is a group of research traditions that are intended to shed light on various aspects of the intellectual effort of understanding and explaining social phenomena. In brief, it is the study of the social sciences from the point of view of the quality of knowledge they offer, the types of explanations they advance, and the important conceptual problems that are raised in the course of social science research. Core questions include: What are the scope and limits of scientific knowledge of society? What is involved in arriving at a scientific understanding of society? What are the most appropriate standards for judging proposed social explanations? Is there such a thing as social causation? How are social theories and assertions to be empirically tested? How do social facts relate to facts about individuals? The philosophy of social science is in one sense a “meta” discipline—it reviews and analyzes the research of other, more empirical researchers. But in another sense the philosopher is a direct contributor to social science research; by discussing and reflecting upon the methods, assumptions, concepts, and theories of working social scientists, the philosopher is also contributing to the improvement of social science research. On this perspective it is arbitrary to draw a line between the theoretical and conceptual inquiry of the applied social scientist, and the similar studies of the philosopher. A philosophy can guide us as we construct a field of knowledge, and it can serve as a set of regulative standards as we conduct and extend that field of knowledge. Philosophy has served both intellectual functions for the social sciences in the past century and a half. 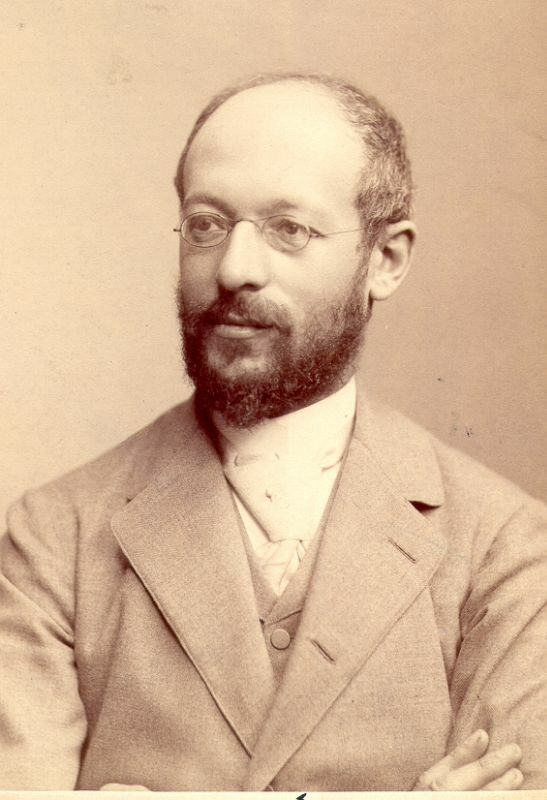 Philosophical ideas about the nature of knowledge and the nature of the social world guided or influenced the founding efforts by such early social researchers as Weber, Durkheim, or Spencer in the formulation of their highest-level assumptions about social processes and their most general assumptions about what a scientific treatment of society ought to look like. So there has been an important back-and-forth between philosophy and the social sciences from the start. John Stuart Mill and William Whewell framed many of the assumptions about the social sciences that would govern the development of many areas of the social sciences in the English-speaking world; whereas European philosophers such as Heinrich Rickert and Wilhelm Dilthey articulated a vision of the “human sciences” based on the idea of meaningful action that would have great influence on European social science development. At its best, philosophy can function as an equal collaborator with the creators and practitioners of the social sciences, helping to arrive at more durable and insightful theories and methods. At its worst, philosophical doctrines can blind social researchers to more fertile and innovative avenues of theory and explanation. The importance of the philosophy of social science derives from two things: first, the urgency and complexity of the challenges posed by the poorly understood social processes that surround us in twenty-first century society, and second, the unsettled status of our current understanding of the logic of social science knowledge and explanation. We need the best possible research and explanation to be conducted in the social sciences, and current social science inquiry falls short. We need a better-grounded understanding of the social, political, and behavioral phenomena that make up the modern social world. Moreover, the goals and primary characteristics of a successful social science are still only partially understood. What do we want from the social sciences? And how can we best achieve these cognitive and practical goals? There are large and unresolved philosophical questions about the logic of social science knowledge and theory on the basis of which to arrive at that understanding. And philosophy can help articulate better answers to these questions. So philosophy can play an important role in the development of the next generation of social science disciplines. It is important to underline the point that this inquiry is not of merely academic concern. Understanding society better is an urgent need for all of us in the twenty-first century. Our quality of life, our physical security, our ability to provide for greater social justice globally and locally, and our ability to achieve the sustainability of our natural environment all depend upon social processes and social behavior. The better we understand these processes and behavior, the better we will be able to shape our futures in ways that serve our needs and values. And currently our understanding of important social processes is highly limited. We need better theories, better research methodologies, and better conceptions of the basis nature of social phenomena, if we are to arrive at a more realistic understanding of the social world. The philosophy of social science can contribute to these important tasks. This ontology should in turn lead social researchers to expect a substantial degree of contingency and plasticity in the phenomena they study. Given that institutions and organizations are constituted by the social individuals who make them up, we should expect that they will mutate over time—that is, we should expect plasticity of social entities. And we should anticipate contingency. Rather than the iron laws of history that Marx hoped to find, we should not define “science” as the discovery of law-governed regularities among a set of phenomena. Finally, it is affirmed here that there is a credible basis for finding a degree of order among social phenomena, in the form of causal relationships between various social facts. The discovery of social causal mechanisms is the foundation of social explanation. Moreover, there is a very consistent relationship between the idea of a social causal mechanism and the social ontology of “socially-situated individuals” that is offered here. Social causation flows through the structured social actions of individuals. And empirical social research can inform us about various aspects of the processes of social causation: the social institutions within which individuals act; the historical processes of development through which individuals came to have their current mental models, moral ideas, and preferences; and the powers and constraints that are embodied in a set of social relationships at a given time. A recurring theme throughout the blog is attention to the nature of “social causal mechanisms.” The causal mechanisms approach is the most promising way of addressing the idea of explanatory relations among social circumstances, in my view. So it is worthwhile looking carefully at the ways in which social scientists have sought to explain the social outcomes and processes that most interest them and the kinds of causal mechanisms they have identified in a broad range of areas of research. Another recurring thread in the past several years of the blog is concerned with the mental frameworks within which we attempt to make sense of the social world. This has to do with conceptual frameworks, definitions, theories, and presuppositions. Both ordinary actors and social scientists bring organizing concepts and beliefs to their representations of the social worlds they encounter, and those frameworks themselves are not directly open to empirical examination. A final perspective found frequently in this blog that seems particularly important for philosophers to acknowledge is a point about methodological pluralism. Sociologists, political scientists, anthropologists, geographers, and public health specialists make use of a very wide range of methods of inquiry, explanation, and justification. And it is often clear that the choices made by a particular investigator or tradition are in fact well adapted to the particular circumstances of the field of research he/she is confronting. So philosophers need to be wary of philosophical positions that seem to imply the need for a single unified theory, method, or system of justification. Rather, the diversity of the social world requires a comparable range of research approaches and theories. Here is a short video in which Michael Sandel offers his views of the relations that ought to exist between philosophy and the social sciences, especially economics.